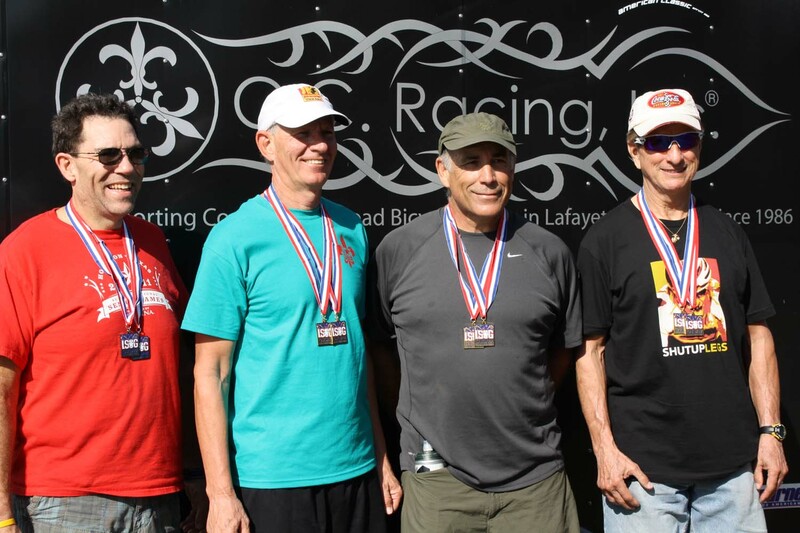 Today the Cajun Cyclists Race team hosted the 2011 Senior Olympics cycling road race in Louisiana. The course was a 10k road race which looped through the Milton area’s back roads. There was beautiful weather, scenery, and great competition. Don’t believe “Senior” means slow. The overall winner “Jed Darby” won the cat 3 road race championship last year. These guys were flying! These guys are awesome! I’m 44 and LOVE cycling, but am intimidated to race. These guys are an inpiration! Chapeau, roleurs!